Since I started watching Keeping Up With The Kardashians way back in 2007, the draw, for me, has always been the solid relationships between the siblings. Growing up in a big extended family myself, it was nice to see that reflected on my TV screen, albeit in a bit more unconventional way than the how my cousins, siblings, and I operate, but the sentiment remains. So, when I got wind that Rob and Khloé Kardashian weren't on good terms, I took it hard. I took it personally. But, thankfully, it looks like I need not be upset any longer. Because, Kim Kardashian took a Snapchat of Khloé and Rob hugging it out. And honestly, it was the most heartfelt Kardashian moment (that didn't involve the babies) that I've seen in a long, long time. The magnitude of this affection after some outright tension and animosity between the two of them speaks volumes. 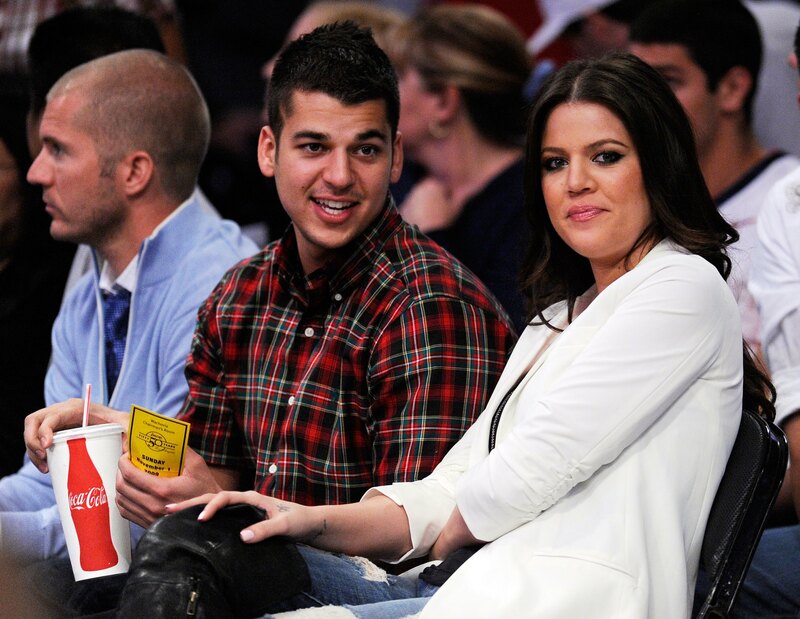 Out of all the sibling relationships, I think we can all agree Khloé and Rob's was especially tight knit. I mean, Rob even lived with her and Lamar Odom. So, to see them return, somewhat, to that place of trust and intimacy feels right. Like balance has been restored to the Kardashian universe. Although, poor Rob still looks fairly camera shy in Khloé's Snapchat vid from the same day. But, baby steps, you know? Regardless of what happened before, it's evident that the love between them has remained. Khloé has always been Rob's cheerleader and mama bear, and now, it's nice to see Khloé leaning on Rob... literally. The hug is one of epic proportions, the kind that makes up for lost time. And, it also shows that despite Rob being younger than Khloé, he's grown up and the two are seemingly equals now. Which, does weirdly happen between older and younger siblings as we age. Things even out eventually, and it's usually for the better. Maybe the two won't live together again, but proximity doesn't matter in the scheme of relationships, anyway. What matters is what's going on in that snap. Snapchat definitely takes some getting used to. But if it makes your sister happy, you go with it, right? At least that seems to be the case judging by Rob.